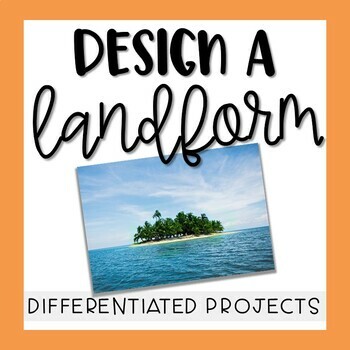 This project is a perfect activity to culminate for any landform unit. 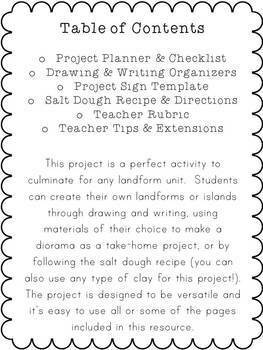 Students can create their own landforms or islands through drawing and writing, using materials of their choice to make a diorama as a take-home project, or by following the salt dough recipe (you can also use any type of clay for this project!). 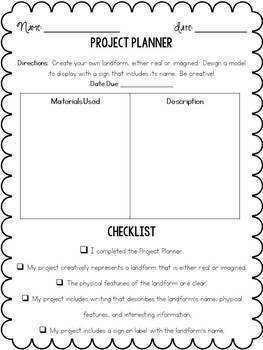 The project is designed to be versatile and it’s easy to use all or some of the pages included in this resource. 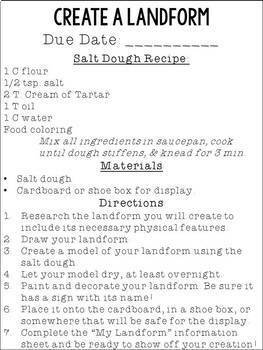 This is part of my Landform Unit!